Belgian tangler Didier Gervy shares his ChocoBox tangle with us and it is a swoopy, swirly fun one to draw. It looks all puffy and “float-y” right? It’s almost in motion. Didier was inspired by something he saw on an outing to “the famous Market Place in Brussels” during the Christmas season. 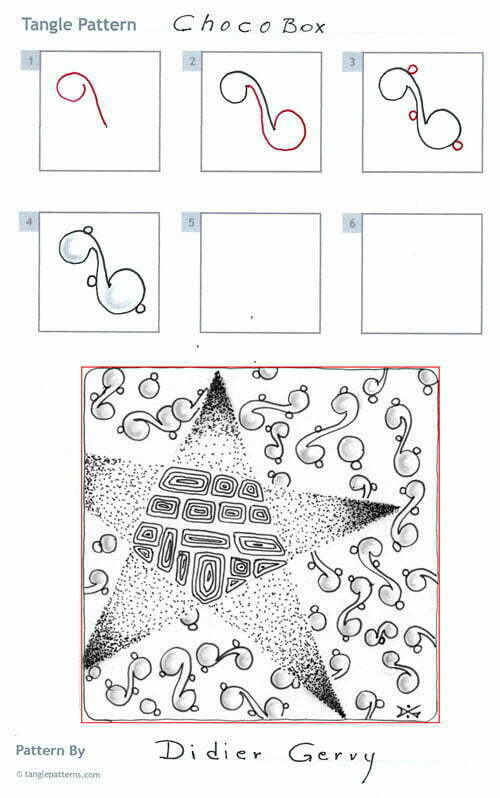 Here are Didier’s steps for drawing ChocoBox with a Zentangle® featuring his unusual tangle. Check out the tag didierg for more of Didier’s patterns on TanglePatterns.com. I love this tangle, it could almost be double ended musical notes as well, happy singing ChocoBox tangle. Thanks Chrissie. There’s a lot of possible embellishments and variations. 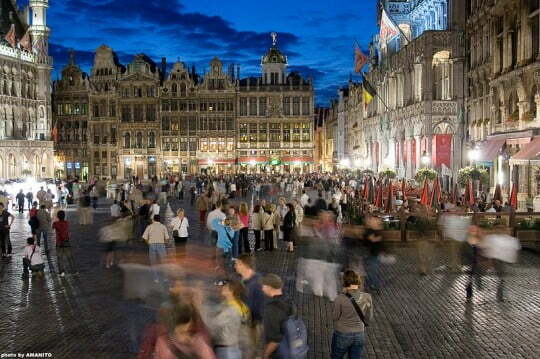 I’m pleased that you like Brussels, did you vistited my city : Ghent too? My sister and I went to Europe in 2006. We tested the chocolate from several countries and decided we loved the chocolate from the Market Place in Brussels the best. It is a beautiful place to visit and we hope to return in the future. Thank you for sharing. I don’t know why, but I’m finding this one harder than most. Odd. Thank you for all your hard work. With a bit of practice, you’ll find ChocoBox very easy and funny , Tami. Oh yes! A good one. I want to do this one today too. This one would be very interesting on one of the tan tiles with a sepia or brown micron pen.